Ancient Aliens Debunked is a documentary showing compelling and scientific evidence debunking the ancient astronaut theory shown in the TV Series, Ancient Aliens. 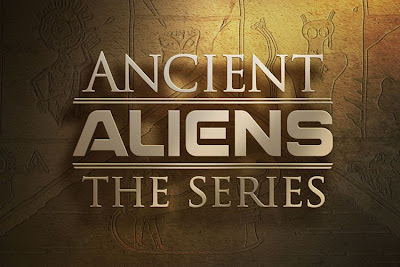 The documentary shows solid evidence as well as scientific, archeological, and even cultural facts that the TV show is totally wrong when it comes to ancient aliens. A really recommended watch to have a well rounded view on the ancient astronaut theory. The History Channel's series Ancient Aliens is a very intriguing and albeit entertaining watch. Fair warning that watching the documentary below may take the fun out of watching that show again. The basis of the show is that aliens from outer space have visited the Earth thousands of years ago and have contributed to the rise of the human race. They show evidence of this from ancient writings and text that supposedly refer to these aliens. Also shown are buildings, structures, paintings, and sculptures that depict these other worldly visitors. From showcasing Puma Punku as a site where aliens constructed huge stone structures with intricate detail to the flying Vimanas that is supposedly written about in Hindu culture. The show does present compelling evidence that there may be alien visitors to this planet hundreds of years ago. One thing about the show is that it seems to be too one sided. All the hosts and the evidence are skewed towards the belief that there were space visitors before. Facts and figures are taken at face value from the hosts and their guests. Now, Chris White, presents a documentary refuting the evidence and theories put forth by Ancient Aliens as wrong, misleading, and even fraudulent. Just like watching Ancient Aliens, one must have an open mind when watching a show based on aliens. Warning though, after watching this, it may take away some of the enjoyment in watching Ancient Aliens. As reference, here is the index on the topics covered.